Without a good zooming in, the camcorder you use cannot provide you a good quality video. Moreover, if you zoom in nicely, but your targeted object doesn’t fit the screen then all your handwork will go after nothing. 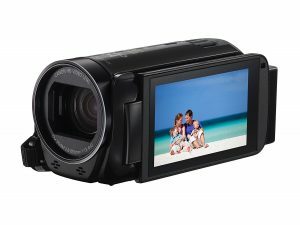 Canon is a trusted brand for camcorders and they have kept this problem in mind while manufacturing their Canon Vixia hf r70. With this amazing camcorder, you will get a smart zoom feature that will allow you to fit your required object on the screen even after you zoom in. So, today we are going to talk about the details of this amazing camcorder in this canon Vixia hf r70 review. By the end of this canon hf r70 review, we will know everything about this amazing camcorder. From this Canon Vixia hf r70 camcorder review you will find a lot of amazing features that will make you love this camera. We too like it for all the feature it provides. But there is one feature that we like the most. The ability of this camera to perform a smart zoom has attracted us a lot. Our team experts have also found this feature quite awesome. Actually, you can find a lot of camcorders in the market, but all of them won’t provide you such feature. This feature is quite unique and so it makes the camcorder unique too. During a video shooting, you have to zoom into a specific subject several times. In such situation, it has occurred so many times that you have zoomed too and so the subject didn’t fit on your screen. Well, you can say goodbye to this problem once and for all. As the Canon Vixia hf r70 brings you a smart zoom feature which will help you to zoom into the details and fit the details easily into your screen. The quality of a recorder(aka camcorder) depends a lot on its ability of image processing. This Vixia hf r70 is one of the top camcorders of that market picks. You can shoot videos up to 1920 x 1080 resolutions sourced from the DIGIC DV 4 HR image processor in this product. It’s so easy to control and operate that kids can even capture images and shoot videos. This is because of the amazing touch panel (3” LCD screen) that the Vixia hf r70 provides. Along with an outstanding imaging performance, it also provides high-resolution videos. This feature is a must for you to capture the tiniest detail of a scenario. The battery of the Canon Vixia hf r70 is of high capacity with the presence of BP-727 power unit. This elongates the time of the video recording. So, record longer videos with the Canon Vixia hf r70 compared to any other camcorders. From every angle of quality and performance, we found this camcorder as one of the best of the market. You can give it a try and check whether it checks all boxes of quality or not. 1. Available slot for fluid head tripods. 2. External mic makes sound clear. 3. Reduces shake effects with the anti-shaking. 4. Mounting attachable for handling easily. 5. Works great in different weather conditions. 6. Small, light in weight and compact. 7. Compact size fits in the pocket as well. 8. Remote, smartphone control is available. 1. Display turns off quickly if not used. 2. Short inactivity makes the camera turn off automatically. Question: can I get a good quality audio without inputting a mic? Answer: You can have a good quality even without putting a mic in it. But if you add one, the sound quality will be far better. Question: Is this camcorder applicable for taking pictures? Answer: Yes this device can take photos. Question: Can I get a battery along with the device or do I have to purchase one separately? Answer: A rechargeable battery is included by default. The Canon Vixia hf r70 is a quality camcorder made by canon. There is no doubt about its quality. It is not on the top list only because of the brand, the camera actually features amazing properties as you can see. For recording quality videos easily, the Canon Vixia hf r70 is without a doubt one of the best camcorders as you can see in this canon Vixia r70 review. So, I hope that this Canon Vixia hf r70 review was helpful for you. And I am sure now you can pick this camcorder without doubting its capability.